The year is coming to a close, how are you doing with your 2018 travel goals so far? I certainly hope you’ve explored beaches, mountains, unknown cities, and different cuisines both here and abroad in the recent months. As a part of your year’s last hurrah, why not try a farm staycation, for a change? 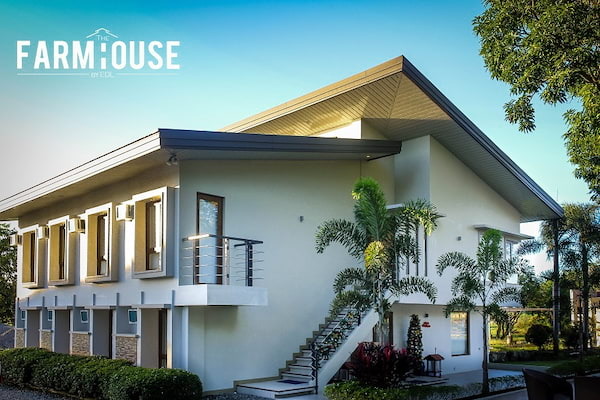 Just a 2-hour drive away from Metro Manila, EDL Farmhouse is found at the heart of Capas, Tarlac. 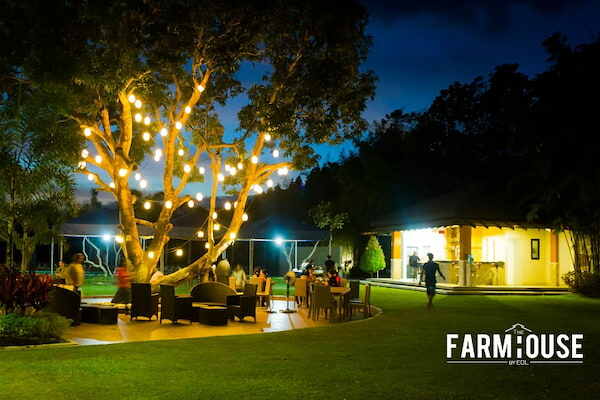 It is a place meant for those looking for an ultimate farm experience bundled with good food and plenty of fun! 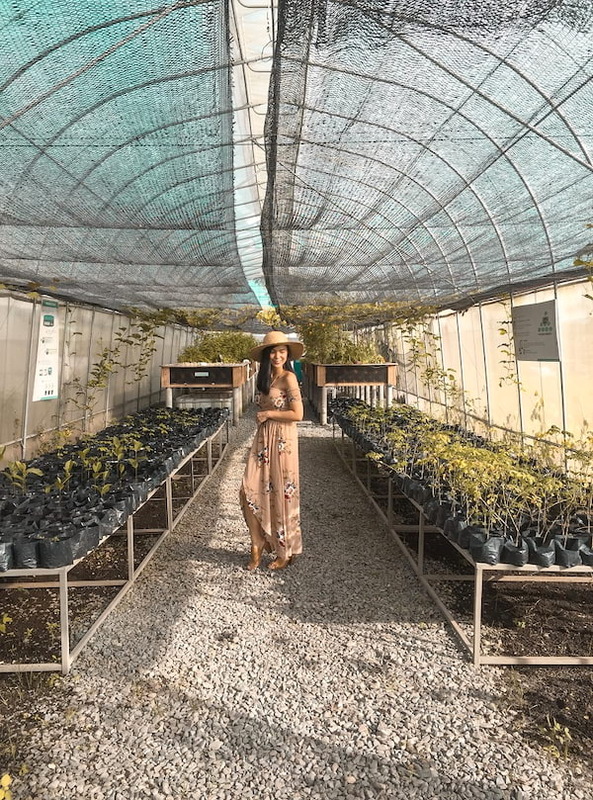 Imagine being in a serene place away from the city, breathing farm fresh air, while learning sustainable farming from genuine farmers. EDL Farmhouse was originally a private farm of Dr. Eulalio D. Lorenzo and family until they opened it to the public last March 2017. At EDL Farmhouse, guests can opt for a day tour or an overnight stay. They currently have a hotel with 16 rooms that can accommodate up to 47 people; villas to cater to bigger groups are already in the works. Our stay in the hotel was really comfortable because rooms are air-conditioned, have cable flat screen TVs, hot & cold shower, and toiletries. You can even pick a room with balcony. 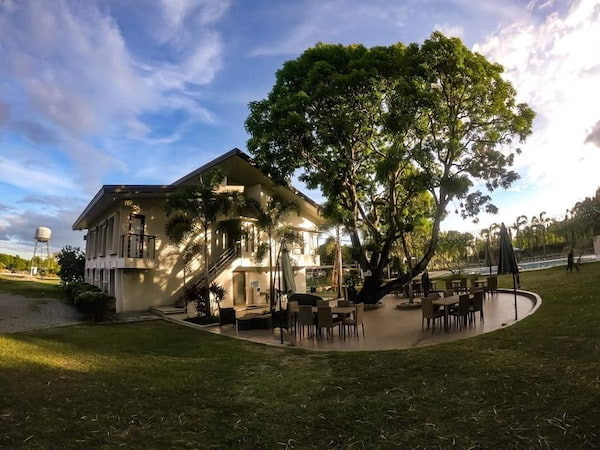 In addition to that, the hotel has a pool where you can dip and relax, and a restaurant that serves organic food from the farm for a wonderful farm-to-table experience. 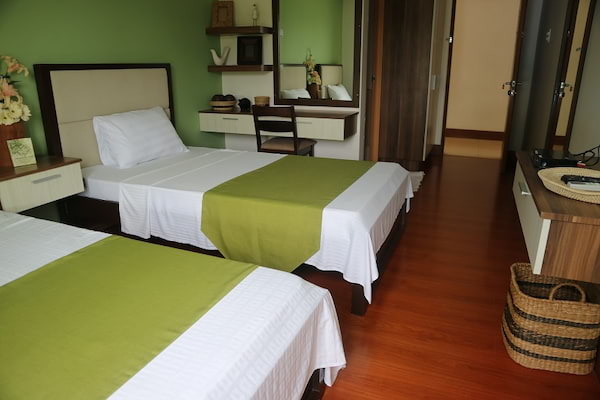 Accommodation rates ranges from P2,399 – P7,299 a night. You could avail their day tour for as low as P1,299 inclusive of breakfast, lunch, snacks, and access to pool area from 9am to 5pm (minimum of 10 persons). 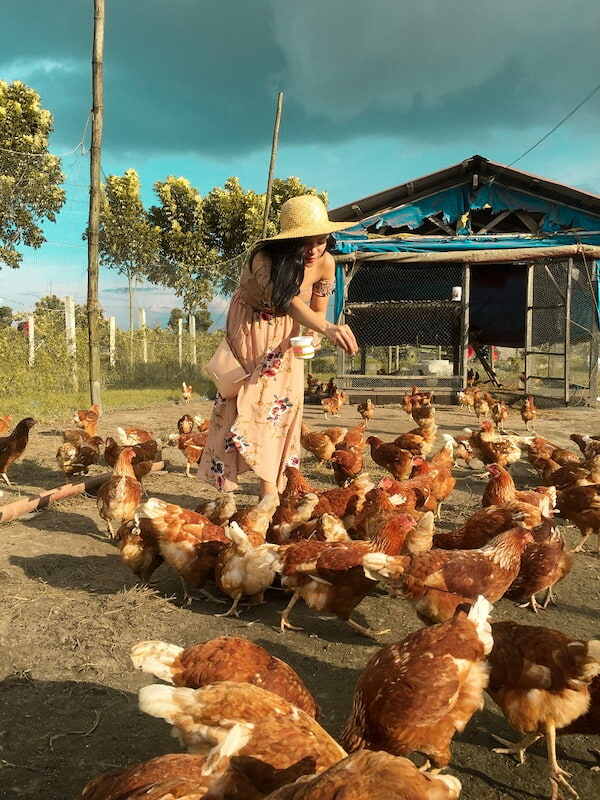 We checked out their free range chickens and we were allowed to feed them. We were also taught how to make salted eggs. 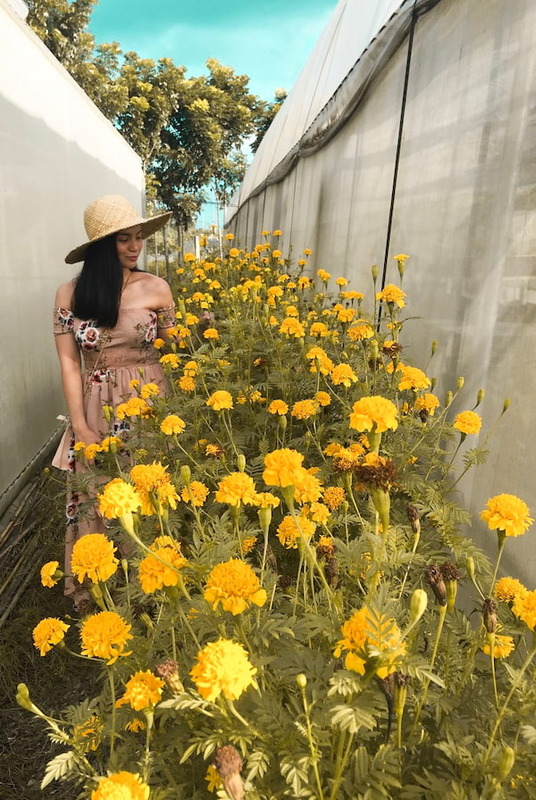 We went to their green house to see different plants, forage, flowers, and vegetables. They also did a demo and gave us a brief background of aquaculture and vermiculture. Aquaculture, also known as aquafarming, is the farming of aquatic organisms including fish, molluscs, crustaceans, and aquatic plants under controlled conditions. Vermiculture on the other hand is the controlled growing of worms in specialty structures. They also showed us how to do vermicomposting which is using worms to decompose plant wastes into castings. 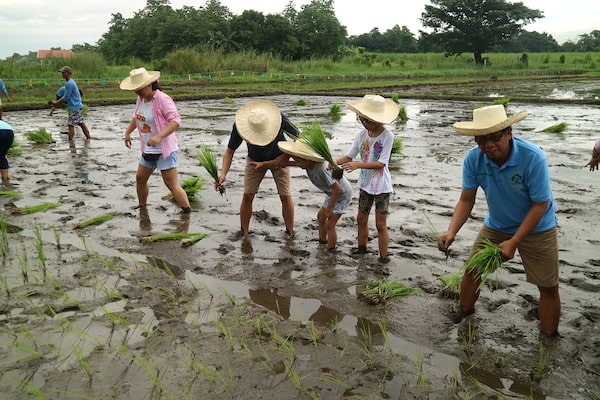 We did organic rice planting. We went to see their cows (all sourced from New Zealand) and we got to try feeding and milking them! We visited their pig paradise! Most of their pigs are from United States and there are a few ones from Sagada. 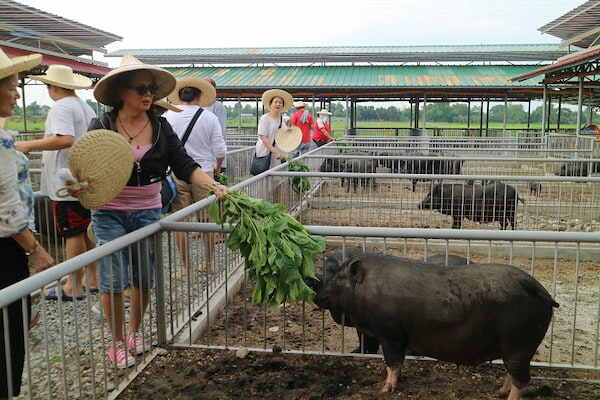 The pig pens are very well maintained – they are clean and they don’t have a foul smell. I enjoyed all the activities, even the tractor ride while doing the ocular! 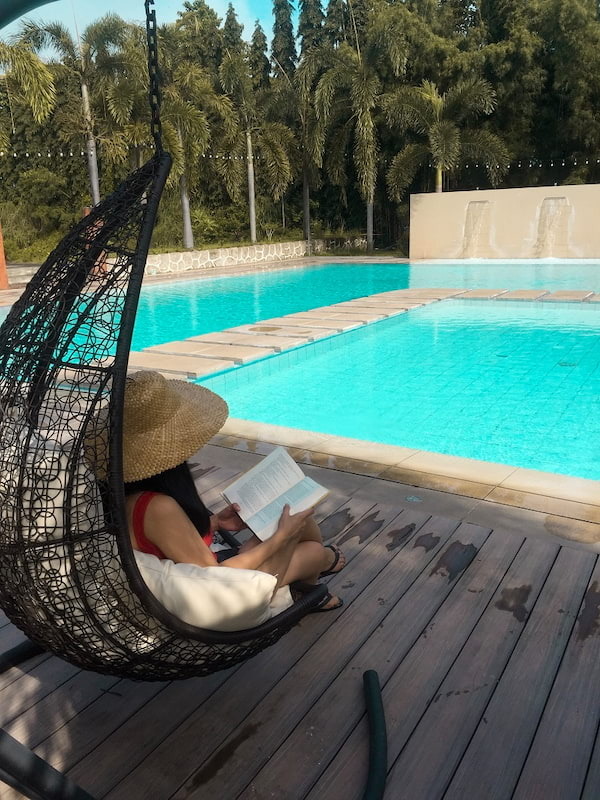 We were able to do all the activities in just a few hours, so we had a lot of free time to swim and just enjoy the nature. They say life at the farm is slow and steady. 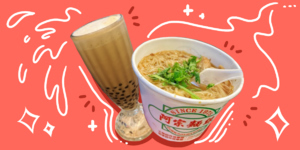 We’re definitely not complaining. For those looking for a more extreme adventure, EDL Farmhouse also offers a Pinatubo trek package. Explore and be stunned by the majestic crater of Mt. Pinatubo for as low as P3,999 per head (group of 5)! This includes hotel accommodation, breakfast, lunch, refreshments, 4x4 rides, tour guide and environmental fees. 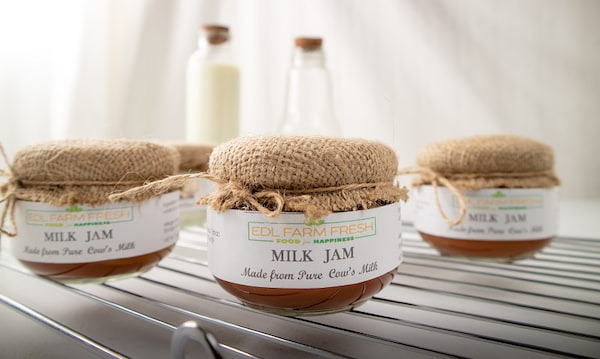 EDL Farmhouse is keen on giving its guests and the agriculture industry the best that it has to offer. By the end of the year, people can expect the completion of EDL Amphitheatre where they intend to host large trainings and seminars from Department of Tourism (DOT), Agricultural Training Institute (ATI), TESDA, and DOLE, among others. They also have a farm school where they hold TESDA short courses. Balai Lorenzo Pavilion & Restaurant is also on its way! The pavilion will house up to 350 people, making it a superb choice for weddings, birthdays, and other private and corporate functions. They are also looking at transforming a portion of their property as a 'glamping' (glamour camping) site for a more memorable and one-of-a-kind experience for guests. 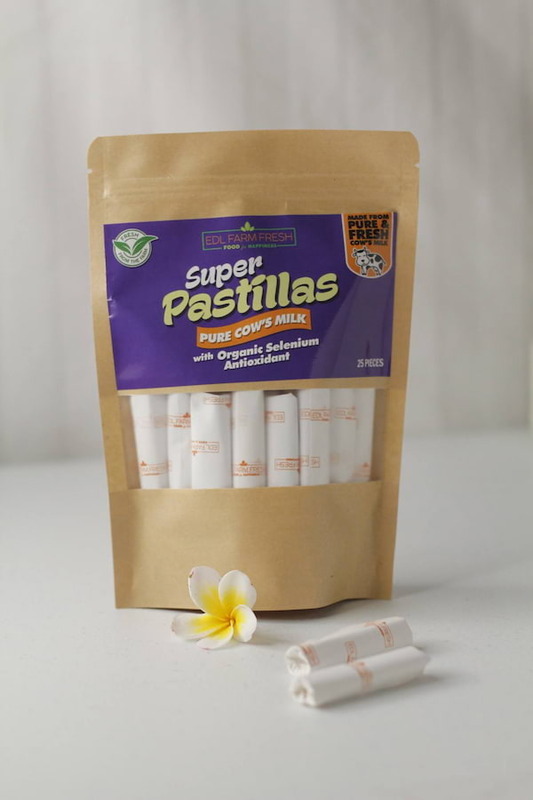 Don’t leave EDL Farmhouse without trying their organic products such as free range chicken eggs (P8 per piece), salted eggs (P121 – half dozen / P245 – a dozen), pastillas (P110 per pack – plain / P120 per pack – ube), cream cheese (P120), chili paste (P110 per bottle), chili oil (P110 per bottle), milk jam, balut, and soon their very own ice cream! These products are available also for interested resellers or distributors. Visit EDL Farmhouse located at EDL Drive, Barangay Dolores, Capas, Tarlac. It is a 10-minute drive from Concepcion exit of SCTEX. 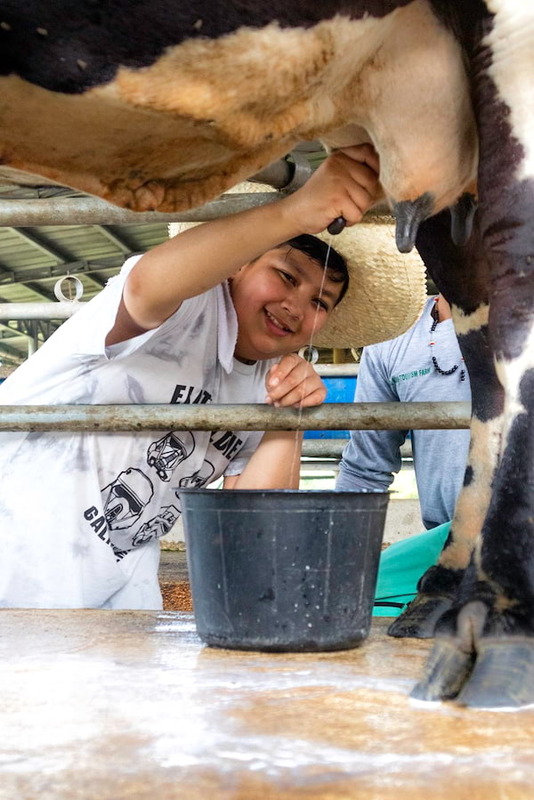 For more information, visit their official website www.edlfarmtourism.com, e-mail info@edlfarmtourism.com, and contact 0917-7096908. Like EDL Farmhouse on Facebook (/EDLFarmhouse) and follow on Instagram (@edlfarmtourism).